but she's jumping, the lot. if I told her she's small. her tail between her legs. You will catch him tomorrow. and looks at me with pride. because I'm a little Jack!" This is a really lovely poem..... but perhaps you need get out more? Just a suggestion. 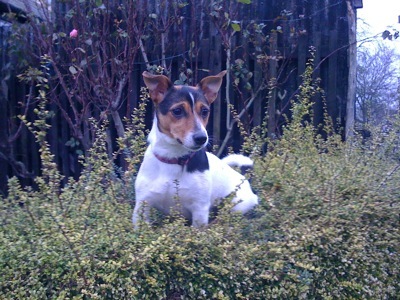 This little Jack Russell sounds like she really enjoys life and wants, as they do, to get the most out of her day. Its a new game and mission with them all the time. Bet she has caught her bird by now and on to the next very important task, to prove that she is a brave and worthy of her name, BIG little Jack Russel.